The New Year is a symbolic rebirth – a chance to discard past follies and focus on the endless opportunities of the incoming year. As we ring in the New Year, let’s be inspired by exemplary personality who managed to defy the odds and prove that nothing is impossible. Beyond professional excellence, their leadership qualities and strong passion to pursue their respective work had benefited communities and changed lives. It’s high time we learn about these unsung personalities who are North East India’s real star. It is my small initiative to honor 10 everyday people changing the society of North East India. I meet them in my travel with the truth, with facts, with information, with knowledge, with education, with empowering ideas into actions and dreams into realities. Leadership is not about personality, it’s about behavior- an observable set of skills and abilities. Despite differences in culture, gender, age and other variables, these persons revealed similar patterns of behavior. Five core practices common to all are: they Model the way, Inspire a Shared Vision, Challenge the process, Enable Others to Acts, and last but certainly not least, they Encourage the Heart. The list below is the 10 Heros: Inspiring profiles of 10 men and women who changed the concept of Leadership. Bharjit Singh, Chief Executive Officer, ODESH (Organization for Development of Economic & Self-Help) of Khangabok, Thoubal, Manipur. ODESH closely linked to more than 100 Kauna producer artisans. They act as facilitator of Kauna producer artisans. Kauna- a Aquatic Herb, associated intrinsic value among the community at Khangbok village. Kauna, is derived from a local name used for making of mats and other artistic items and also for medicinal importance. ODESH primarily formed with a vision to lead and direct the poor and support less, youths who are unemployed for an inclusive growth through the support and partnering with state and National level agencies. ODESH interventions on Kauna craft includes- Institution building of local artisans, building functional capacity of artisans, linking between producers and buyers. To serve the nation in a well mannered way for a smooth functioning society. Legal service acts a powerful role giving justice to common people. Indian Judiciary has been providing justice to the people of the country for year. But, due to some reasons the judicial system has been effected resulting like pending of cases. Keeping it in mind Darak Ullah, Chief Judicial Magistrate, Jorhat, Assam has been trying to eliminate the gap between law and the common people. 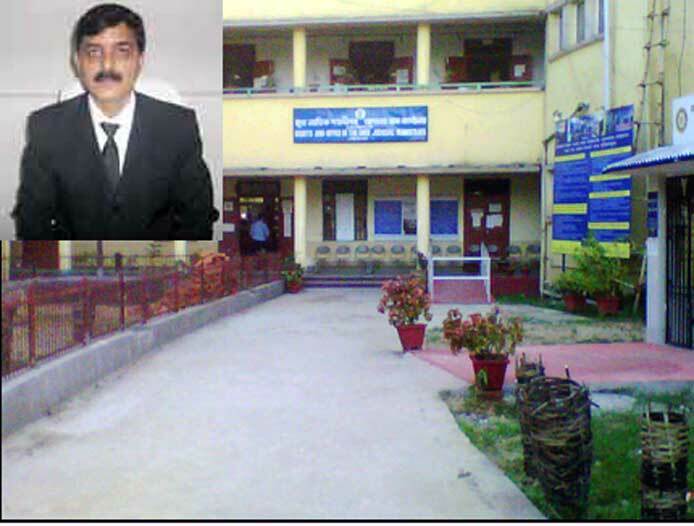 Taking charge as the C. J. M. of Jorhat in 24th December, 2012, he has been dedicating himself to create an atmosphere in the court premise which is not only exemplary but also imitable. 1) The infrastructure of the office and court rooms are dramatically improved with standard furniture. 2) The provisions of sitting arrangement for the witnesses, senior citizen, physically disable, children and litigant public are made outside the court rooms. 3) Provisions of drinking water and public toilet are made through Rotary Club, Jorhat and Lions Club of Jorhat Greater respectively. 4) Efforts are made to keep a clean and hygienic working environment and the court yards are converted into beautiful garden apart from motivating the staff to contribute one flower pot each in their name and the change of environment becomes eminent and visible. 5) Special drives were taken for speedy disposal of the cases involving crimes against women and maintenance proceedings. 6) Petty offence cases were quickly disposed by holding Holiday court and Lok Adalat and as a result the pendency of such cases come down heavily. 7) In order to simplify the process of payment of maintenance and also to reduce the inconvenience including loss of finance and time etc, the effort are made and Bank Accounts of those parties are opened under Prime Minister Jan Dhan Yojna. 8) Office of the CJM, Jorhat, is declared as one of the first Tobacco Free Office and the same is recognized by District Tobacco Control Society by issuing certificate. 9) The provisions for payment of diet money to the witnesses are made which reduces the problem of the witness and encourages them to attend the court. For the devastating of flood and erosion, Rohmoria, an area in Dibrugarh has been creating news for media showing the helpless people with their pale faces. But for about three years a revolution to popularize education among people is gearing up with a fruitful result Debananda Gogoi developed a new concept of Reading Club in that area. Formerly, associated with a banned militant outfit in the state, Gogoi is now busy with pens, Books and musical instruments. Gogoi, with the help his two children has been able to teaching English language in a different way. He selected various musical instruments like flute, guitar, keyboard, for a English ahollic society. For his relentless effort, thousands of students (mostly children) are acquiring amazing power to enriched vocabulary, grammer of English in a short period. The “Readers Club of Assam” even can make a 5 years old child’s memory. Denis P. Rayen, a Tamilian from Madurai had set up the Cherapunjee Holiday Resort after giving up his bank job. Rayen married Carmela from the native Khasi tribe, and has living in Meghalaya for nearly 40 years. The family can speaks regional languages – Tamil, Khasi and Assamese. In 1977, Rayen was arrived in Meghalaya as a member of a project evaluation team for a Delhi-based firm. He quit bank officer job in 1982. Rayen’s pioneering activity has not only triggered a new kind of tourism related entrepreneurship in and around Cherapunjee but has also brought about significant changes in the local economy. Rayen taken up a development initiative to promote tourism in and around Cherapunjee for the benefit of the people of the area. With the grassroots up approach, the Living Root Bridges of the area that have become an international attraction, interesting and enjoyable walks and treks, natural swimming pools at the bottom of the valley, baths in waterfalls cold mountains springs and streams, camping out in winter, campfires, cultural evenings presented by locals. Ziro Traditional Dress Making Cluster, Arunachal Pradesh has been set up by Arun Kutir Udyog Cooperative Society under SFURTI with the vision to and with an attempt to make handloom products & design more viable and saleable nationaly and internationaly by introducing improved technology input, intervention of modern concept design dissemination, product diversification to match the present trends and imparting need based skill up-gradation training etc. In the dynamic leadership of Haj Yakang, Ziro Traditional Dress Making Cluster is giving an average income of around 30 Lakh per anum. Above all the society shows the way to empower women with enterpreneurship development, hapiness & freedom of self sustained. Ministry of Micro Small and Medium Enterprises, Govt. of India, awarded them National Award (best SFURTI, NE Zone) on 2009. Ziro Traditional Dress Making Cluster have made some tangible efforts with identification of categories, product ranges, diversification of products, introducing modern concept design dissemination, establishment of Common Facility Centre with installation of modern technology inputs, organizing workshops on design dissemination, product diversification & export oriented etc, skill up-gradation training, exposer visits, out sourcing skill up gradation training to reputed institutions & firms and participation in number of exhibitions, trade fairs, buyer seller meet etc. In its implementation 500 weavers/artisans have been involved and out of them 30 SHGs have been formed. They have been issued artisans card, Health Insurance Card, General Insurance etc. A passionate film maker, intense writer, active social worker, talented photographer. His documentary called “Songs of Mashangva” won Rajat Kamal award for Best Ethnographic Film in 58th National Film Award for 2010. 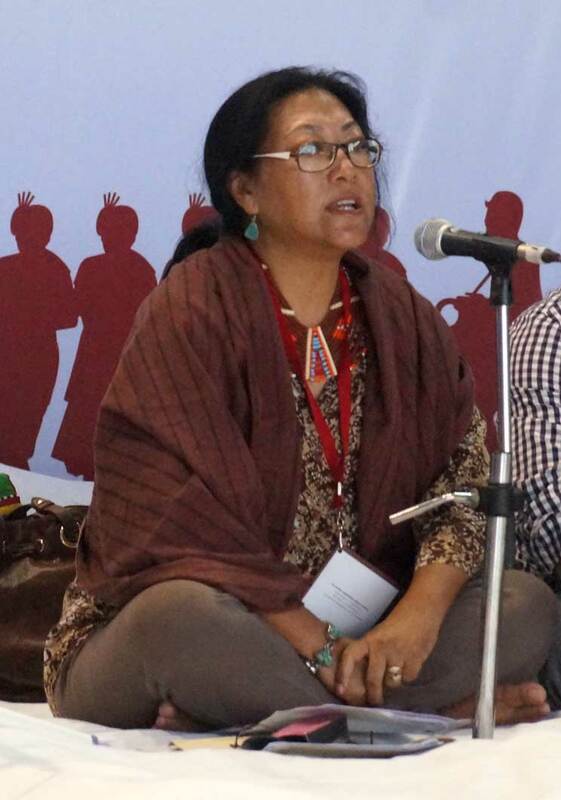 Film was deals with the issue by taking into account the Tangkhul Naga Tribes. It highlights how the Tangkhul Nagas, who were originally animistic in their worship and also superstition having a 1,000 year old rich folk music tradition and lost all of it with the coming of European education and Christian life. 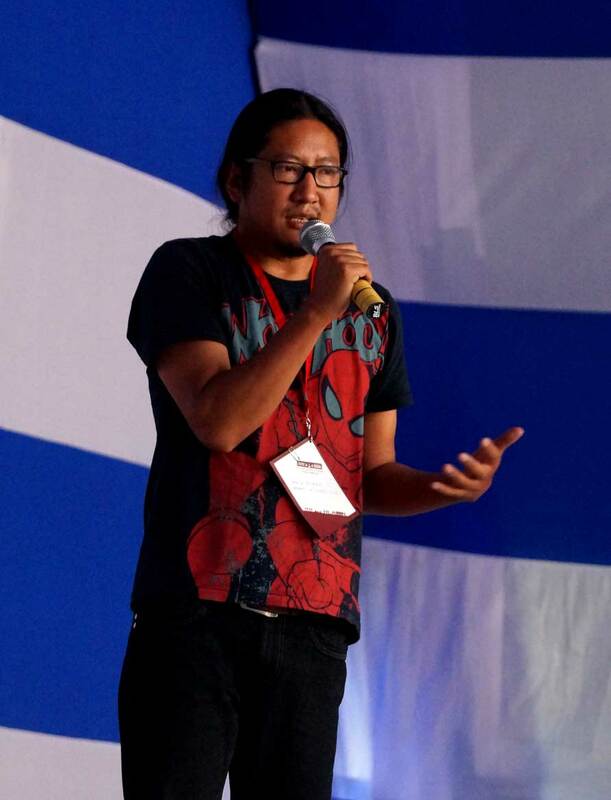 His works are based on indigenous music and culture but for a global audience. He was a jury member in 45th International Film Festival of India 2014. A businessman by profession. A historian by nature. A noted numismatist by reputation. Mr. Om Prakash Gattani more than just a founder curator of Joravilla. Each coin here is a piece of him. Acquired, nurtured, researched, documented and preserved in mint conditioned by him. The Coins of Ahom Kingdom brings to the fore Gattani’s effort to preserve these rare coins of that period while systematically giving a glimpse of the valuable collection of various kinds of coins circulated during the reigns of kings Gadadhar Singha to Chandrakanta Singha, covering a period between 1681 to 1817. He also preserving coins of other North Eastern states- Tripura and Manipur. His collection includes- coins of Rajput, Alwar, Kushalgarh, Bharatpur, Shahpura, Jaishalmer, Bikaner, Bundi, Dungalpur, Dholpur, Jaipur, Pratapgarh, Jodhpur, Kashaman, Kishangarh, Mewar, Kota, Boroda, Gwalior, Indore, Kochbihar,etc. Including world coins from- Portugal, Dutch, Danish, France, British etc. 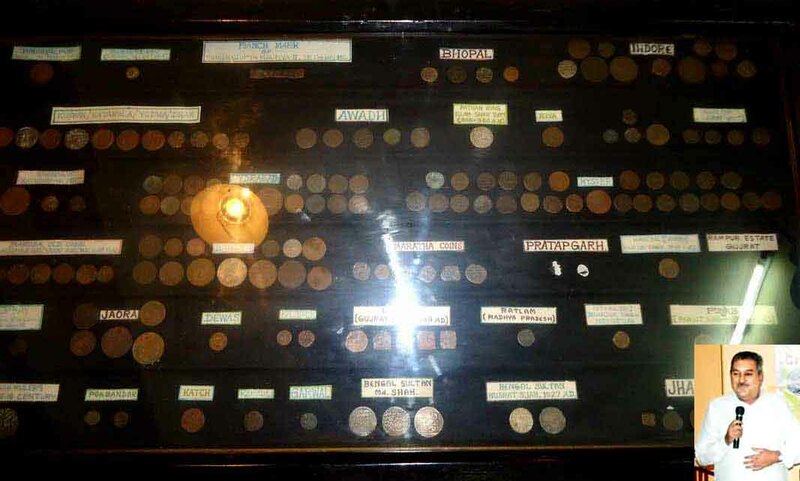 His another museum is “OPG’s coins & Curio Collection” at Nokha, Rajasthan. 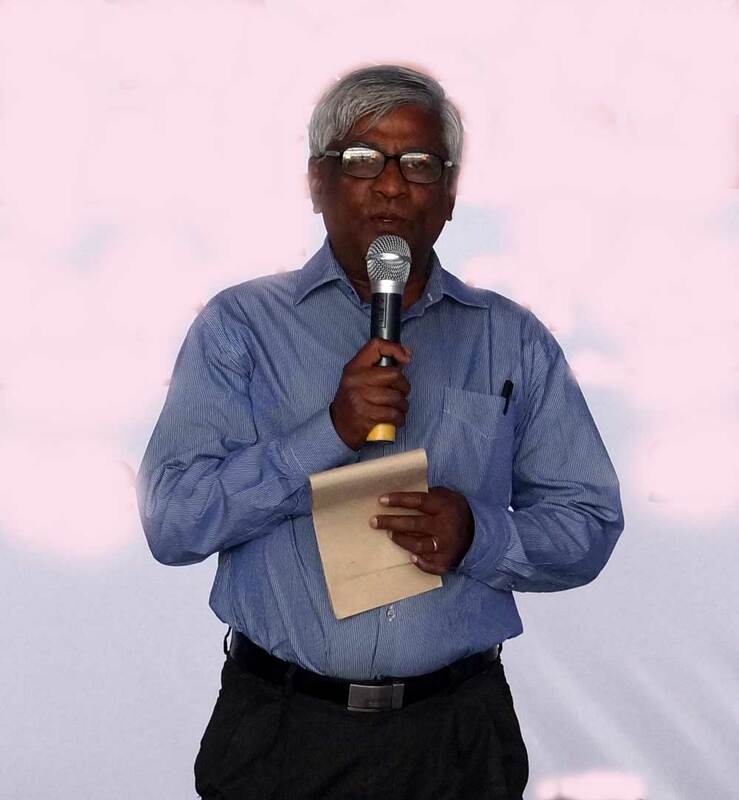 He is lifetime member of “The Numismatic Society of India (B.H.U., Varanasi), Delhi Coin Society and Numismatic Society of Calcutta. He also released a booklet on the coins of Ahom era in both English and Assamese languages. Very soon his another book on history of Jorhat will be release in three languages- English, Hindi and Assamese. The collections will help the future generation for understanding the history and economy of the glorious rule. Pabitra Rabha, graduate from the National School of Drama in Delhi in 2003 and taking on various writing, acting and directing jobs. Rabha founded theatre group of dwarves called “Darpan”. “Darpan” means Darpan, that means a reflection of our life and society. His goal is to empower the dwarfs with real acting skills, and through their plays, to make society more aware of their plight as little people. Dapon staged production throughout Assam and many show in the country. Their first staged, “Kinu Kou” (What to Say? ), was based on the life of Akshay (member of Dapon) and his fellow actors in the Dapon theatre group, dramatizing the trials and struggles that they, as dwarfs, face in their day-to-day lives. Dapon is about the Big dreams of the little men. 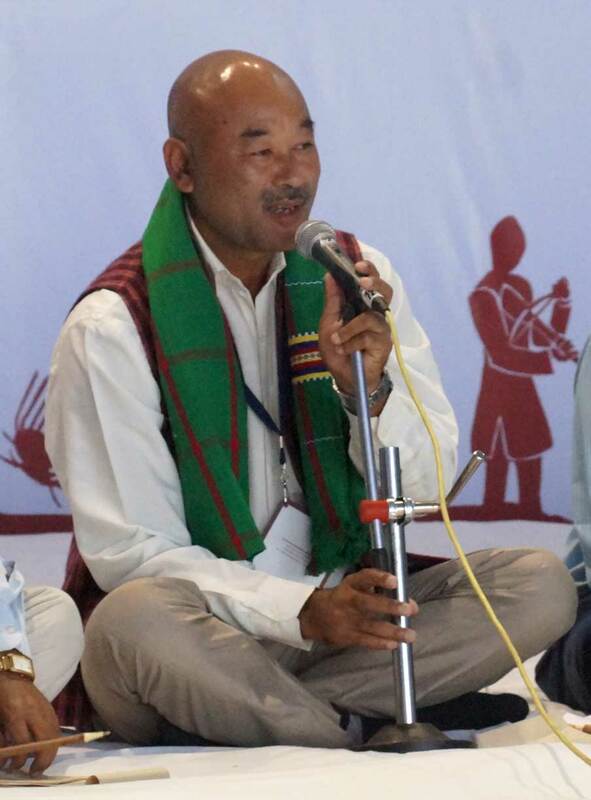 Rabha gave up a lucrative stint in theatre and films to start this unique experiment in Tangla in Assam. Today through theatre these little actors have found respect, dignity and love. He also start a model village for dwarves in Tangla, the first of its kind in Assam and perhaps the entire country. Which is populated with 70 dwarfs from across the state, including Dapon. Profile as Film Actor:- Hindi Film- Tango Charlie, Mukhbir, Mary Kom. International Drama- KING LEAR, Japan. He also acted many regional film in Assames and in South Indian languages. Awards:- CNN IBN Real Heroes 2012, Reliance Foundation Real Heroes 2012, Best Actor Assam State Film Awards for Assames film “Adhyay”. With a conservational thinking in mind, Dr. Pranabjyoti Chetia, a Ph. 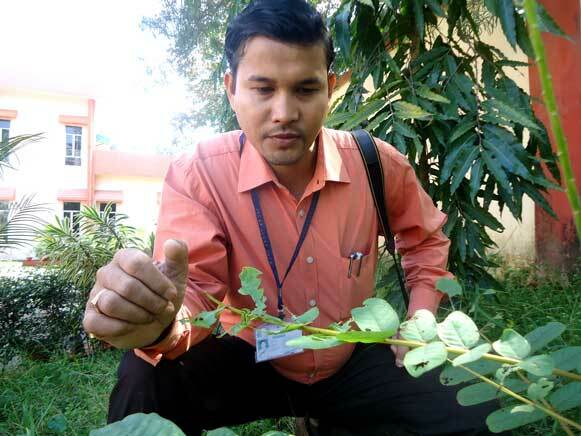 D. in Physics and curator of Jorhat Science Centre and Planetarium, has creating instance by conserving butterflies in a planned manner. This nature lover, has turned the planetarium compound to a natural habitat centre for butterflies. For this kind effort the beautiful garden in that campus has been attracting more than forty species of butterfly which including some rare species. About six month ago, Chetia and his colleagues had been some butterflies coming to the garden. Inspired by this, Chetia started to study about the lifecycle and all about butterflies. Since then, the garden is becoming butterfly habitat centre which offer hospitality to the species like Luna moth, common yellow swallow tail etc. Which are becoming extinct all over the world. 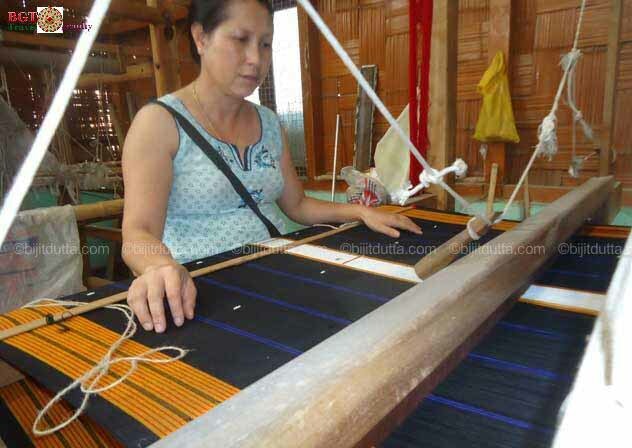 A Naga textile specialist and craft revivalist, Sentila is widely acknowledge for her work with women craft artisans, which has provided vital links in bringing around sustainable rural development. Sentila was bestowed Padmashree Award on year 2000. Sentila is an ardent advocate of the use of natural dyes as eco-friendly alternatives. She has been experimenting with and incorporating value additions in Naga Fabrics with the aim of making it more attractive amongst the younger generation.